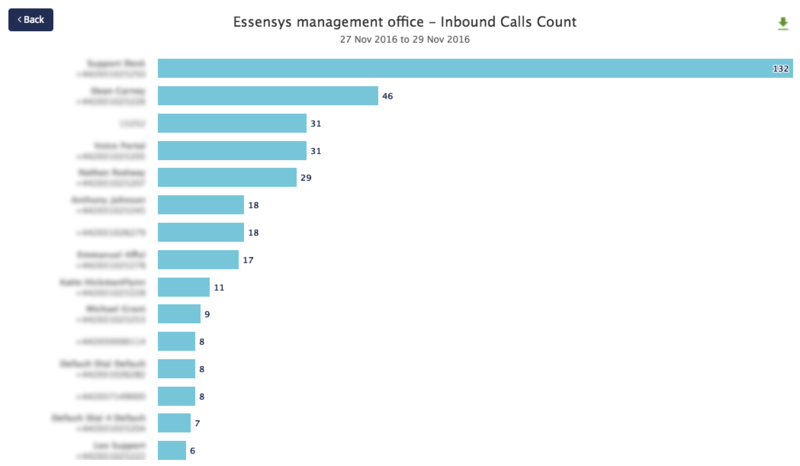 Enhanced Call Reports provide an advanced overview of all of your team’s calls, and are especially useful if your company has a focus on customer support or sales. 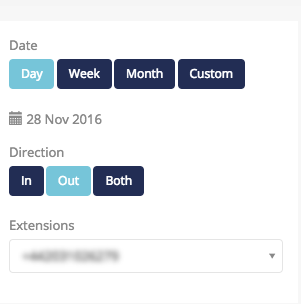 You can see a summary of all of your team’s calls, and use the information to assess the performance of individual members of your company. 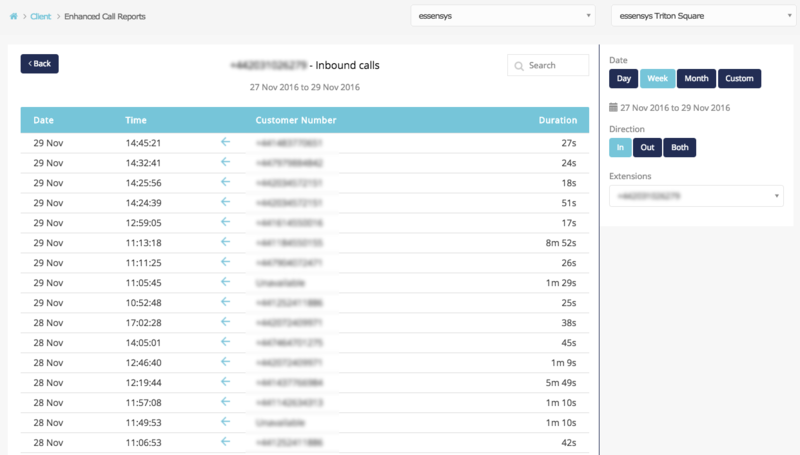 As an Admin, you are able to view details of all calls from the phones within your company. If you are a User, you can see all of your own calls. You can access your call reports directly from your Connect home page, or from the main navigation. 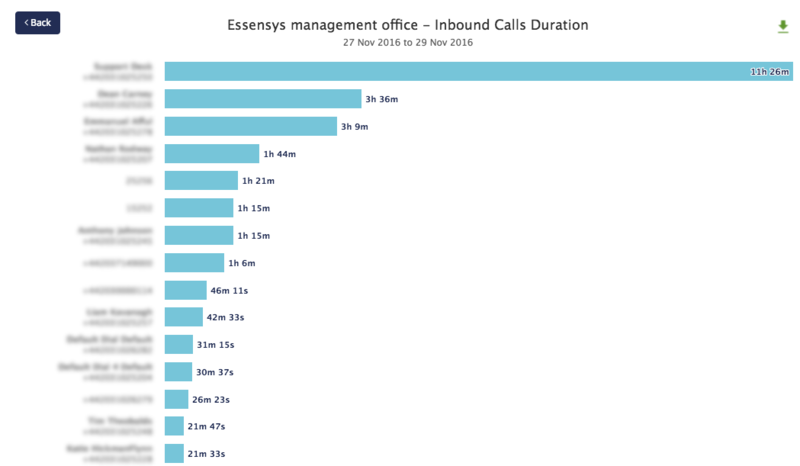 On your home page, you can also see a snapshot displaying some of the information available – the total number and total duration of all calls made to and from phones within your company on the last day. Select ‘Enhanced Call Reporting’ to view more. All calls made or received by phones within your company are displayed. 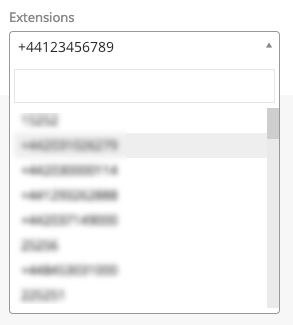 If numbers have been associated with a user within Telephone Manager, you can also see their name displayed. You can remove numbers from the table by de-selecting them from the Extension list. The list of extensions will update to reflect the numbers that are displayed in the main graph. 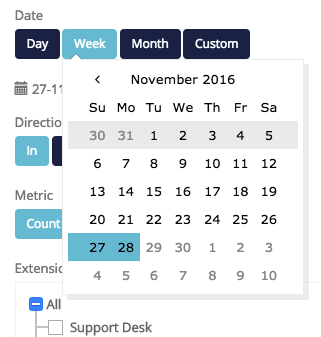 You can still use the filters to the right to change the time period or limit the view to inbound or outbound calls. If you are an Admin, you can select another user from the drop down, or choose back to return to the group report.